Living with diabetes can sometimes be frustrating but with the proper planning and care it can be manageable. There are 4 major components to diabetes management including healthy diet, staying active, monitoring your blood sugar regularly, and of course keeping up on your prescription regimen. Every doctor tells you that the number one step in managing diabetes is a healthy diet. This is true. Monitor your carbohydrates, which have the greatest influence on blood sugar. It is also a good idea to monitor total fat and protein intake as well. Staying active helps blood flow throughout the body. Especially if you have Type 2, staying active helps reduce artery damage that causes skin sores. Already have foot sores? Take a look at investing in some diabetic footwear, this site here is a good place to start. Regularly checking your blood sugar helps keep you in the know about your body. Set an alarm for specific times throughout the day as well as half an hour after a meal. Try and coordinate a time where you will be able to slip away and test. More importantly, invest in a portable monitor. Become a creature of habit, as noted before make sure to set alarms not only for your monitoring, but for your prescriptions as well. Take them at the same time everyday to help eliminate the chances of you missing a day. Making your stomach sick? Spread it out into two separate sessions. These are just simple suggestions, please see your doctor for more information and facts on how to manage your diabetes. Most people with diabetes live an active happy life. You can too! 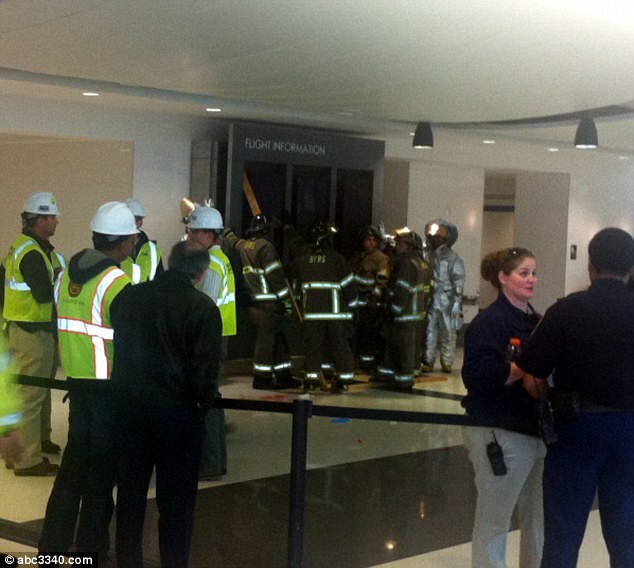 On Friday, 3/22/13, a mother and her three children were crushed by a falling sign weighing 300-400 pounds inside an airport in Birmingham, Alabama. One of the children, Luke Bresette, was killed. He was in the 5th grade. The sign (to the left) was a flight information sign like the ones we have all looked at for arrivals and departures at the airport. It is unknown if the woman was looking up at the sign, which was attached to a wall, or if she just happened to be standing there with her children. The mother broke both of her ankles and her pelvis. One of the children suffered a concussion and another broke his left leg and nose. 1. In January 13, 27-year-old Jacob Marx was killed when an overhead sign fell to the ground and crushed him. The cause is believed to have been a gust of wind. 2. In October 2012, a woman in her 50s died after being struck by a falling sign in Toronto. The cause was attributed to Strong windows. 3. A woman was hurt and five cars were damaged due to a falling sign in England. The cause appeared to be weather-related. 4. Twelve people were injured (no critical injuries) from a falling sign in New Jersey. No cause was identified. 5. A man in Texas was injured when a large panel from an LED sign came loose. The cause was described as either negligence or mischief. 6. A man was injured while walking his dog when an unsecured metal sign blew off the ground, struck him in the face, and knocked him over. 7. A teenager in Colorado was injured when a truck hit a street sign, fell, and struck him. While some of these incidents are unavoidable for the victim(s), being extra cautious in your surroundings and staying inside during windy storms gives you your best chance of avoiding something similar from happening to you. On 3/17/13, two high school football stars (Ma’lik Richmond and Trent Mays) from Steubenville, OH, were convicted of victimizing a 16-year-old girl when she was too intoxicated to consent in August 2012. The case grew to national prominence because of how the perpetrators and/or their friends photographed the victim, video-taped the incident and the aftermath, and posted some of the images and videos to social media sites, showing no remorse. As a clinical psychologist who has observed followed this case from afar, below are the five main reasons I believe this incident took place and five ways to prevent it from happening again. While these are not the only reasons the incident took place and not the only prevention methods, they are each critically important and have additive effects when present together. 1. Dehumanization and Objectification of Women: This is a major theme that runs throughout this case as the female victim was objectified and dehumanized (laughingly referred to as “dead” by multiple people there are the time despite her clearly being alive). She was lifted up and photographed as shown above much in the same way hunters lift up, carry away, and photograph a prized deer. 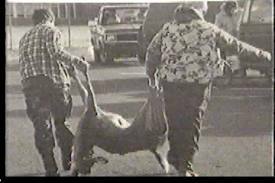 The perpetrators seem to have viewed the victim as their prized catch and much like the prized deer catch, further victimization was to follow. Dehuminization and objectification of women can lead to criminal behavior, symbolic activities to further emphasize the dehumanization and objectification (in this case that included urinating on the victim), and a lack of remorse and compassion for the victim. 2. Poor Parenting: Proper parenting is important to teaching children the different between right and wrong and forming strong positive emotional attachments. The father of Ma’lik Richmond, Nathaniel Richmond, noted that the day of the sentencing was the first day he told his son that he loved him and that he was not there for him in the early formative years of his life like he should have been. While it is ok to be friendly with your children at times, a clear boundary needs to be drawn so that the child also sees the parent as a role model to look up, someone who teaches them right from wrong, and someone who provides discipline when significant mistakes are made. 3. The Effects of Alcohol/Drugs: When under the influence of alcohol/drugs, women are more prone to be victimized by men because they are in a more vulnerable physical and emotional state. Men are also more likely to behave in a disinhibited way when intoxicated, which can lead to criminal acts. 4. Peer Pressure and Group Think: When people are surrounded by a negative peer group, they are more likely to engage in criminal ways compared to if they were alone. This is partly because of the effects of peer pressure and partly because of diffusion of responsibility. Diffusion of responsibility is when someone is less likely to take responsibility for his/her actions (or inactions) when others are present because he/she assumes that others in the group are also responsible. 5. Lack of Concern for Consequences: The perpetrators and their friends appeared to have a lack of concern for the consequences of their actions based on their various social media postings regarding the incident. One of the worst examples of this is the 13-minute long YouTube clip of a former Steubenville H.S. student, Michael Nodianos, who was video-taped soon after the incident took place relentlessly insulting the victim, joking about what occurred, and making statements that showed a callous disregard for human life. As a warning, the video is disturbing to watch. 1. Improved Parenting: Parents and guardians need to take a more responsible role in the lives of their children, forming a close and appropriate bond from an early age. Tell your child that you love them at least once a day. Do fun things with them. Teach them the difference between right and wrong and help them develop a strong moral compass from an early age. Children should not be allowed to be at late night parties without responsible adult supervision and should not be allowed to any such parties where alcohol is being served to minors. 2. Better Drug and Alcohol Education: The negative effective of underage alcohol and drug consumption should be discussed with children from early elementary school age and reinforced each year, preferably from the parents. Providing some real-world examples of how their lives can be ruined by alcohol and drugs can be helpful. In this case, one of the perpetrators father’s (Nathaniel Richmond) had a reported history of alcoholism, which role models the wrong behavior to the child. 3. Teaching Peer Pressure Resistance: Parents cannot be with their children all of the time and so they need to instill in them from an early age a moral compass that will help them decide for themselves when something is right or wrong, regardless of what their peers say. This will allow children to resist the efforts of peers pressuring them to do things they will later regret. It is important to instill a sense of self-confidence and self-worth to each child based on his/her own self-appraisals. Positive role models help instill this with their comments and actions towards the child. Good self confidence and self-esteem helps deflect what others say about them for not complying with peer pressure. 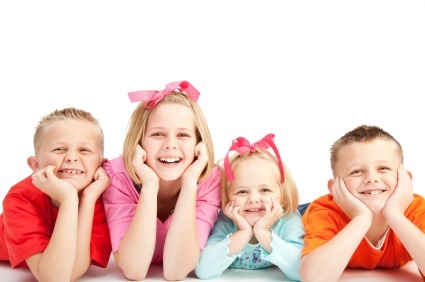 Teaching children self-assertiveness skills through role playing is also important. 4. Teaching Respect for Others and Respect for Life: It is very important to teach respect for others and respect for life from an early age by (parents and teachers), to prevent the casual attitude of harm and death to others. The simple adage of the Golden Rule can go a very long way here. The media bears responsibility here as well, as there is far too much glorification of violence on television, the movies, and in video games. Video games, for example, have moved from family-fun fictional titles to a virtual obsession with the first-person shooting genre and the development of games that glorify violence against women such as the Grand Theft Auto series. 5. Increasing the Penalties for Crimes Against Children: I have said this before and will say it again but the penalties for victimizing and exploiting children need to be increased significantly. Minimum one and two year sentences as occurred in this case are not nearly enough, especially when one considers the life-long cyber-victimization that the girl will endure as the videos and pictures will always be available on the internet. The social media world has been abuzz about rapper, Lil’ Wayne’s seizures and disputed claims that he is in a coma, on life support, and near death at Cedars-Sinai Hospital in Los Angeles. A seizure is an overexcitable state of nerve cells in the brain, sometimes leading to sudden, violent, involuntary contractions of a group of muscles and/or manifestations of decreased awareness of environmental surroundings. Seizures are caused by abnormal electrical discharges in the brain. This can be a result of very high fevers, a structural abnormality in the brain (e.g., brain tumor), bleeding in the brain, a drug overose, or other reasons. 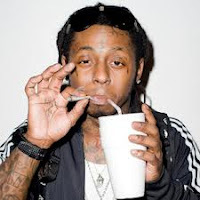 Based on news reports, the most likely cause of Lil’ Wayne’s seizures was an overdose of codeine (a type of pain medication) in prescription cough syrup form that he was addicted to. The syrup was reportedly combined with promethazine, a sedating medication also used to treat psychosis (loss of contact from reality). The syrup, sometimes referred to as sizzurp and purple drank, is known to be highly addictive. It is often combined with sugary sodas (e.g., Mountain Dew) and hard candies (usually Jolly Ranchers) in a Styrofoam cup. It is popular in the hip-hop community and Southern U.S. Wayne is known to have rapped about using the syrup. It is unknown Wayne added other drugs (e.g., alcohol) to the syrup but many who are addicted to such syrups often do and this is when overdoses are likely to occur. Some reports have said that other prescription drugs were added to the concoction, as well as anti-freeze (due to its sweet taste). Wayne reportedly had his stomach pumped three times to remove the drugs from his system. This technique (also known as a gastric lavage) is frequently used in cases of toxic ingestion. The technique involves passing a tube down the nose or stomach that suctions out the liquid in the stomach in small amounts at a time. Wayne reportedly had a series of unexplained seizures on 3/12/13 but was released the next day. It was reportedly a short release, with some reports stating he was taken to the intensive care unit the next day after being found unconscious on the floor. Other media reports state he was rushed to the hospital on 3/15/13 and was reported as near death. It is reported that he had seizure prior to this week, several times this year. If so, Wayne appears to have epilepsy, which is defined as recurrent episodes of seizures. If the news stories are accurate, it is possible that Lil’ Wayne’s recent seizures represent status epilepticus. Status epilepticus is a medical emergency that is characterized by one continuous seizure lasting more than 5 minutes or repeated seizures without regaining consciousness between seizures for more than 5 minutes. Death can occur within 30 days, particularly if immediate treatment does not occur. However, some can and will make a good recovery. It was 9:00 in Clay, New York, on Thursday, 3/15/13. Most of the people in the central New York area were still celebrating the Syracuse University’s men’s basketball team’s victory over Pittsburgh earlier in the day. No one knew at the time that nearby, at the local Great Northern Mall, that a 29-year-old man had abducted a 47-year-old woman (Lori Bresnahan) and a 10-year old girl she was with as they innocently walked out of a gymnastics class to their car. It is the same gymnastic class that so many mothers I know, including friends and family, have walked out of at night with their own precious little children. In a remote parking lot area of the mall, they were both bound in the car and the child was molested. They were both driven a short distance away in the same car, where the mother was stabbed multiple times and killed. Somehow, the child had enough mindfulness after the trauma she had been through to run away, where a passerby took her to safety. Shortly thereafter, the accused perpetrator, David Renz, was captured in the woods by police. This story is upsetting in so many different ways. First and foremost, is the sadness and outrage for the pain and suffering that the victims must have experienced, not only physically, but emotionally, as each appear to have alternated in knowing that the other was suffering horribly. Second is the additional fear that each must have had (particularly the child) due to facial disfigurement of the accused, as can be seen here from a picture taken from his MySpace account. Third, is the information that came out later in the media that Renz had been charged by the FBI for possessing an extensive array of 500 videos and 3,000 pictures depicted depraved acts exploiting children (at least as young as age 7). This information was stored on one of his computers over a period of 6 years, amounting to 100+ gigabytes of information. It was confiscated on 6/4/12 but amazingly it was not until 11/8/12 when Renz was again tracked down for the encryption key code that he used to hide the files. It then took another 2 months (1/9/13) for him to be arrested. Despite all of these delays in searching Renz’s computer and arresting him, U.S. Magistrate Andrew Baxter wasted little time ordering his release from jail two days later. There were conditions put in place which included a curfew, restricted computer access, and requiring him to wear an electronic monitoring device. The monitoring device (ExacuTrackOne) used is supposed to be “tamper-resistant” and immediately notify the company if tampering occurs. However, Renz found a way to deactivate the device at 7:08 pm and it was not until 11:30 pm that the company noticed something was wrong and informed the U.S. Probations office. 1. Immediate apprehension of people found in possession of videos and images depicting real-life crimes exploiting children. It is absolutely outrageous for there to be a 4-month delay in the computer search process and a 6-month delay in the arrest. In that time, the accused could easily commit a violent crime against a child victim. The accused should be detained when probable cause is established until the computer search is completed. 2. Improved electronic monitoring. Judges should not be allowed to release people known to be in possession of the materials described above, especially to that degree, unless there is full-proof electronic monitoring technology. We cannot expose our children to suspected predators who can deactivate monitoring devices, compounded by a lack of immediate notification to the monitoring company. As this case shows, by the time that happens, it is far too late. The technology of these devices must be improved greatly or technology needs to be developed where people are fitted with a surgically implanted monitoring devices. 3.Although the suggestions in the above paragraph need to be consider at the very least, a more drastic solution would be to make a legal exception for adults accused of possessing videos and images depicting real-life exploitive crimes against children so that they are not afforded bail until the investigation is complete and/or a trial occurs with a definitive outcome. Not everyone in our legal system is afforded bail and we need a carve-out exception for these types of alleged crimes. 4.We need to significantly increase the punishments in this country for violent crimes against children. What those increased punishments will entail are a source of great debate and will ultimately be up to the citizens and legislature in each state, but the current penalties are simply not enough of a deterrent. 5.There needs to be better efforts by the U.S. and other governments to shut down websites that are the source of the types of images and videos that Renz was watching. These videos and images add fuel to the burning internal fire that gives rise to the type of crime that occurred in this case. Those caught running such websites must be severely punished with long prison sentences to send a message to others considering hosting such websites. STEPS YOU CAN TAKE: There are likely manner other solutions that you may feel free to offer in the comment section below. If you agree with these solutions, please contact your local representatives which you can find here by tying in your zip code and send them the link to this blog entry, expressing your support or simply providing your own ideas. In the Syracuse area, please contact the office of Senator DeFranciso and Congressman Dan Maffei. Correction: An earlier version of this blog entry stated that he had the information on 4 computers but it was actually one one. This has been corrected. Cancer is any of a large group of malignant diseases characterized by an abnormal, uncontrolled growth of new cells in one of the body organs or tissues. One of the most common examples is cancer of the lungs, often caused by smoking or to exposure to asbestos, a type of mineral that is very harmful to humans. Cancer typically manifests through abnormal masses of tissue known as tumors. Cancer treatment typically involves radiation and/or chemotherapy. The drawback of these treatments is that they also destroy healthy cells. For example, chemotherapy works by interfering with all cells that divide fast. Another form of treatment is targeted cancer therapy which blocks cancer cell growth by targeting specific molecules that cancer cells rely on to grow and spread. Unfortunately, targeted cancer treatment does not always work because resistant cells emerge that regenerate the tumor. Thus, the effectiveness of targeted therapy will depend on how well the cancer cell can naturally resist or adapt to the treatment. Many cancers have a mutated version of a type of gene known as Myc. Genes are units of material contained in a person's cells that contain coded instructions as for how certain bodily characteristics will develop. The mutated Myc gene causes Myc to be persistently expressed. When this happens, many other genes will express themselves in an uncontrolled manner. Because some of these genes are involved in cell growth, those cells will grow in an uncontrolled way, leading to cancer formation. 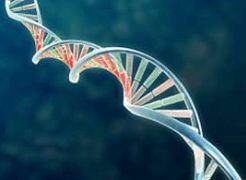 Due to the Myc-mutation’s crucial role in cancer, targeting it to prevent it from acting can potentially treat cancer. In a new study published in Genes & Development, researchers showed that this type of treatment progressively eradicates almost all lung cancer tumors in mice (2 tumors remained after one year). Impressively, the study found that repeated long-term treatment did not cause side effects. The treatment is known as Onomyc and was be activated and deactivated in alternating 4-week periods for a year by administering an antibiotic in the mice’s drinking water. The researchers concluded that the cancer cells could not adapt or resist targeted Myc-therapy like they can resist other cancer treatments. A future goal will be to study if these exciting findings will be applicable to humans and to other forms of cancer. Reference: Soucek L, Whitfield JR, Sodir NM, Massó-Vallés D, Serrano E, Karnezis AN, Swigart LB, Evan GI. (2013). Inhibition of Myc family proteins eradicates KRas-driven lung cancer in mice. Genes Dev. 27(5):504-13. 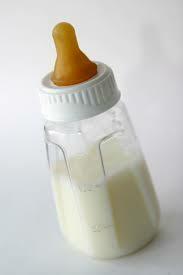 Does Thickening Baby Formula Reduce Apneas in Infants With GERD? When infants are born premature, one of the problems they commonly experience is apnea of prematurity. This is when breathing stops for more than 15 seconds and/or is accompanied by decreased oxygen or slowed heart rate. Sometimes, these apneas can be caused by GERD (gastroesophageal reflux disease) in preterm infants. GERD is a condition in which contents from the stomach flow back up to the esophagus. Apneas related to GERD are often initially treated by dietary modifications. One such dietary modification includes thickening the milk of baby formula. However, no studies have evaluated the effectiveness of this treatment. In the current issue of Neonatology, researchers from Italy reported on a study of starch thickened preterm formula in 24 preterm infants with GERD-related apneas. This was compared with a non-thickened commercially available formula. The study period was 6 hours, during which time each infant was fed twice. The acid level in the esophagus was measured and a machine was used to detect apneas. Results of the study did not show any difference in the number of apneas between the two formulas, although the thickened formula did significantly reduce the acid level in the esophagus. The researchers suggested that other methods be explored to reduce apneas in preterm infants. Reference: Corvaglia L, Spizzichino M, Aceti A, Legnani E, Mariani E, Martini S, Battistini B, Faldella G. (2013). A thickened formula does not reduce apneas related to gastroesophageal reflux in preterm infants. Neonatology. 103(2):98-102. There are literally many trillions of cells in the human body. Every day, 20 to 70 billion of those cells die while others continue to survive and proliferate. Some cells die spontaneously through programmed cell death, a process known as apoptosis. Specialized cells known as phagocytes, which act like vultures, then engulf and consume the byproducts of dead cells. Some cells are actively destroyed by other cells. The cells that are victorious can be referred to as winner cells and those that die off can be referred to as loser cells. In many ways, cellular life is like real-world animal life, with daily competition where the strongest and/or best survives. Cellular competition is important because it helps get rid of deficient or damaged cells (caused by mutations) that can cause harm to the organism. In a recent article published in BioEssays, researchers from Spain discussed recent results of cellular competition studies. They reinterpreted previous models of cell competition where winner cells were believed to be the ones that killed and engulfed the remains of loser cells. 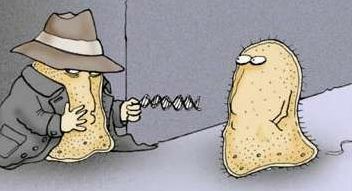 In the reinterpreted model, the winner cells identify kills the vulnerable loser cells (like an assassin of predator would) but recruit other cells to engulf their remains. The article discussed how cell competition involves cells comparing their fitness status. In other words, the cells size each other up like two animals in the wild and the unfit cells are labeled with a molecular code that describes it as such. It as if these cells each have a sign on them saying “I’m a problem cell.” It is not precisely known how this code is recognized by other cells but in the end, the fit cells try to eliminate the unfit type. While a defective cell can be eliminated by fit cells around it (akin to being someone being ostracized from a group) there are other times when a supercompetitor cell can overtake those around and spread (akin to an alpha male who destroys his surrounding competition and then spreads his lineage). In some cases, however, such as cancer, the defective cells are protected by a special protein so that they are not eliminated. In this way, unfit cells can eventually overtake fit cells. In this way, disease can overtake the human body. For example, cancer is an abnormal growth of new tissue characterized by uncontrolled growth of abnormally structured cells that have a more primitive form. Reference: Lolo FN, Tintó SC, Moreno E. (2013, in press). How winner cells cause the demise of loser cells: Cell competition causes apoptosis of suboptimal cells: Their dregs are removed by hemocytes, thus preserving tissue homeostasis. Bioessays. Kim Kardashian has been in the news lately for medical reasons. Specifically, the 32-year-old socialite and TV personality, who announced that she is pregnant on 12/31/12, has been receiving criticism from medical doctors and health commentators that her recently reported miscarriage scare (based on flu-like symptoms) could be due to an excessive exercise regimen combined with a busy schedule. Some media reports have cited guidelines for exercise during pregnancy and emphasized that it is important to exercise in moderation to avoid exhaustion, dehydration, and overheating. There are numerous guidelines available regarding exercise during pregnancy. The most cited guidelines are those by the American College of Obstetricians and Gynecologists (ACOG) in 2002 which state that in the absence of either medical or obstetric complications, 30 minutes or more of moderate exercise a day on most to all days of the week is recommended for pregnant women. One problem with the ACOG guidelines is that they do not define moderate exercise. Some have interpreted them to mean that it is exercise that leaves one feeling energized and refreshed but not exhausted. However, this is subjective and the exercise intensity to achieve these feelings can vary greatly from person to person. This has led some to develop more recent guidelines in 2011, which state that increasing the amount of vigorous exercise and physical activity expenditure is an important goal for pregnant women, especially for those who are overweight or obese. To do this, the researchers who proposed these guidelines (Zavorsky & Longo, 2011) suggested walking 3.2 kilometers per hour (1.98 miles per hour) for 6.4 hours a week or preferably exercising on a stationary bike for 2.7 hours a week. They stated that the best health outcome will come from vigorous exercise at greater than or equal to 60% of the heart rate reserve (HRR). HRR is the difference between the measured maximum heart rate and resting heart rate. The maximum heart rate is the highest heart rate one can achieve without severe problems during exercise. Some measurement devices of exercise intensity will measure the percent of HRR. If unable to access this information easily, the researchers suggested exercising at 70 to 75% of the maximum heart rate. In short, the problem in Kim Kardashian’s case does not necessarily have anything to do with her exercising most days a week or 7 days a week because that is recommended in the guidelines. One simply needs to use common sense on not exercising in excess, particularly when there are extensive stressors present in one’s life such as divorce proceedings and a busy travel schedule. Higher stress levels increase levels of cortisol (a type of hormone) in the body, which can elevate other chemicals in the body that lead to miscarriage, premature contractions, and premature labor. Lastly, there are numerous contra-indications to exercise during pregnancy such as lung disease, persistent bleeding, heart disease, and many others. Pregnant women should discuss their exercise regimen with their doctors before proceeding. This is particularly the case since large Danish study several years ago showed that exercise in early pregnancy is associated with an increased risk of miscarriage (Madsen et al., 2007). The authors of that study, however, suggested caution in interpreting the results however because limitations of the study design may have contributed to the association. Related blog entry: Anti-depressants in Pregnancy: What are the Risks? The American College of Obstetricians and Gynecologists. Committee on Obstetric Practice. Exercise during pregnancy and the postpartum period. (2002). Int J Gynaecol Obstet. 99, 171–173. Madsen M, Jørgensen T, Jensen M, Juhl M, Olsen J, Andersen P, Nybo Andersen A. (2007). Leisure time physical exercise during pregnancy and the risk of miscarriage: a study within the Danish National Birth Cohort. BJOG.114:1419–1426. Nascimento SL, Surita FG, Cecatti JG. (2012). Physical exercise during pregnancy: a systematic review. Curr Opin Obstet Gynecol. 24(6):387-94. Zavorsky GS, Longo LD. (2011). Exercise guidelines in pregnancy: new perspectives. Sports Med, 41:345–360. There are many situational factors that can potentially affect why people bring children to the Emergency Room (ER). One such factor is major sporting events, such as the Super Bowl, World Series, and NBA Championship Games. That is, if people are pre-occupied watching these games or celebrating afterwards, they may be less prone to take children to the ER and will perhaps wait the next day to follow-up with a pediatrician. A recent study in Pediatric Emergency Medicine explored the ER census over a five year period (2006-2010) in relation to the three major sporting events mentioned above. The study times were 4 hours before each event and 8 hours after the events began, divided into 2-hour increments. The comparison group study times were one week after the major sporting event during the corresponding time periods. The study site was the Emergency Department in Loma Linda University Medical Center which means all the times were in the Pacific time zone. Results of the study generally showed that there was no significant difference in the ER census before and after any of these sporting events compared to the control periods. This is good news because if there is a true emergency, then children should be taken the ER whether there is a major sporting event going on or not. However, 6 to 8 hours after the NBA Finals there were more children taken to the ER in the study group versus the control group. Because the study was performed in a city close to Los Angeles, the researchers performed further analyses to determine if there was any specific effect related to the Los Angeles Lakers being in the NBA finals. 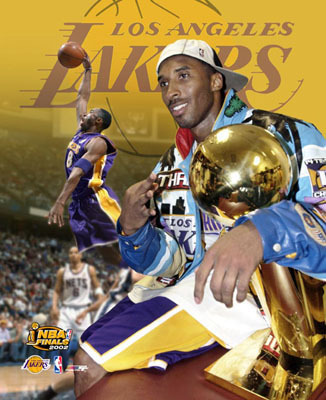 Results showed that there was a decreased use of the ER for children 6 to 8 hours after the games when the Los Angeles Lakers were in the finals. When the Lakers were not in the NBA Finals, there was no decrease in children going to the ER compared to controls in the 6 to 8 hour post-game period. Of course, it is possible that that the decreased ER visits after Lakers wins were related to some other unknown factor, so the topic will require further study, especially since there were a small number of children in the ER during that time period (sleeping hours). Related blog entry: Who Uses the Emergency Room Most? The Answers May Surprise You? Reference: Kim TY, Barcega BB, Denmark TK.(2012). Pediatric emergency department census during major sporting events.Pediatr Emerg Care. 28(11):1158-61. When people go to bed tonight, at 2:00 am, an hour of sleep will be lost due to daylight savings time. Last year, in a prior blog entry, it was discussed how sleep deprivation on the Monday following a shift to spring daylight savings time results in a small increase in fatal car accidents. A new study reported in a recent issue of the American Journal of Cardiology provided evidence to show that daylight savings time shifts might briefly and modestly affect the incidence and type of acute (sudden) heart attacks. In the study mentioned above, there were 935 patients (59% men and 41% women) whose electronic medical records were reviewed at two emergency centers in Michigan. The researchers studied the incidence of sudden heart attacks that presented to the hospital the week after daylight savings time and after the autumn switch to standard time. There were 328 patients studied during that time frame. A comparison group was also studied, made up of 607 patients with comparable diagnoses who came to the hospital two weeks before and two weeks after the shift to daylight savings time. The main finding that reached statistical significance was an increase in a type of heart attack after the transition to daylight savings time compared to patients who were studied two weeks before and after the shift to daylights savings time. This was noted for the first day (Sunday) after the transition to Spring. The increased heart attack risk is theorized to because of the biological effects of decreased sleep length and sleep quality. For example, partial night sleep deprivation is associated with increased levels of certain chemical related to cardiac function such as norepinephrine. It can also increase the rate of firing of nerve cells that regulate heart rate. Increased blood pressure and narrowing of blood vessels was suggested as another possible cause of acute heart attack after sleep deprivation. While the results of this study are interesting, they cannot definitely prove that transition to daylight savings time causes acute heart attacks because it is based in a retrospective chart review (preventing the researchers from controlling other factors that could influence the results), is based on association (associations do not prove causation), and because there were not enough heart attacks per day to strengthen the power of the statistical analyses. More research is still needed to determine if the increased risk indicated in this study is real and if so, how to decrease the risk. Until that time, common sense would indicate that trying to get extra sleep during the daylight savings time transition is a smart thing to do, especially if you have risk factors for heart disease. Suggested reading: Mayo Clinic Healthy Heart for Life! Reference: Jiddou MR, Pica M, Boura J, Qu L, Franklin BA.(2013). Incidence of myocardial infarction with shifts to and from daylight savings time. Am J Cardiol., 111(5):631-5. Research studies have shown that pilots are more prone to numerous adverse health conditions related to chronic exposure to high altitudes (where there is less oxygen), and high speeds, temperatures, vibrations, and noise levels. However, many of these studies lump airplane pilots together with helicopter pilots but the groups may be susceptible to different conditions due to different flight characteristics. For example, helicopter pilots do not fly as high and as fast as airplane pilots. Thus, studying helicopter pilots separately may be helpful. In the current issue of Aviation, Space, and Environmental Medicine, researchers from China performed such a study to study the types of diseases helicopter pilots suffered as well as their sick leave time. The study involved a random sampling of 516 pilots between the ages of 20 and 52. Their medical records were reviewed to obtain medical diagnoses and sick leave time for each diagnosis. Results of the study showed that the top three organ systems in helicopter pilots affected by disease are the digestive system, cardiovascular system, and the musculoskeletal system. The top three organ systems associated with the longest sick leave durations were the digestive system, musculoskeletal system, and the nervous system. Conditions in these organ systems accounted for 66% of sick leave time combined. The three most common medical conditions for the helicopter pilots were fatty liver (9.88%), hyperlipidemia (high fat levels in the blood; 6.98%), and polypoid gallbladder lesions (3.42%). Fatty liver is a reversible condition where fat accumulates in the liver. Polypoid lesions of the gallbladder are types of polyps in the gallbladder. Polyps are a type of growth that projects from the lining of mucous membranes. A mucous membrane is one of four major types of thin sheets of tissue that line or cover various parts of the body. The gallbladder is a small, pear shaped sac, located under the liver, which helps store and transport bile to the first part of the small intestine. Bile is a bitter, yellow-green substance released from the liver that carries away waste products. The three diseases associated with the longest sick leave periods in helicopter pilots were ground syncope (fainting; 7.23%, 157 sick days), chronic gastritis (inflammation of the stomach lining; 6.68%, 145 sick days), and lumbar (lower back) disc herniation (protrusion) (4.19%, 91 sick days). Lumbar disc herniation could have been related to chronic sitting in helicopter pilots. The authors suggested more efforts be made on controlling and preventing this problem in the future. The study also showed that the helicopter pilots rarely suffered from specific aerospace related diseases/problems (e.g., hearing loss, loss of consciousness) that airplane pilots do, likely because of the differences in their flight characteristics. However, the ground syncope was a significant concern which led the authors to suggest better training to tolerate high altitudes and speeds. It is not altogether if there is something specific about being a helicopter pilot that makes one prone to fatty liver, hyperlipidemia, and polypoid gallbladder lesions or if some other factor was the cause. Reference: Xiao, D., Li, H., Wang, X., Wang, B., Yan, Y. & Men, K. (2013). Prevalence of Disease Spectrum and Sick Leave Time Associated with Illness in Helicopter Pilots. Aviation, Space, and Environmental Medicine, 84, 3, 234-236. Cholesterol is a waxy, fatty substance found only in animal tissues. High-density lipoprotein (HDL) cholesterol is called "good cholesterol" because it helps prevent cholesterol from building up in the arteries. An artery is a blood vessel that carries blood away from the heart. Low-density lipoprotein cholesterol is called "bad cholesterol" because together with other substances it can form plaques (hard, thick deposits) in the walls of arteries, leading to blockages. When this happens it is known as atherosclerosis. 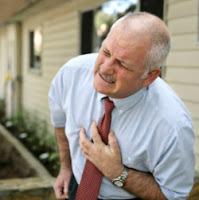 Atherosclerosis can cause damage to large blood vessels, which is a major cause of stroke and coronary artery disease. A stroke is a burst artery (a type of blood vessel that carries blood away from the heart) or a blockage of an artery in the brain. 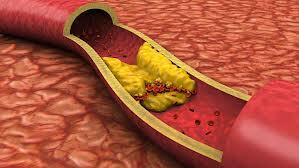 Coronary artery disease is a narrowing of coronary arteries, which supply the heart with blood. The narrowing of coronary arteries causes heart damage. There are many different types of drugs that lower bad cholesterol levels, the most commonly used of which are known collectively as statins. There is evidence from research studies that randomly assign patients to different treatment groups that statins decrease atherosclerosis but little is known about whether the finding from these studies applies to other settings. In an upcoming issue in the journal, Arteriosclerosis, Thrombosis, and Vascular Biology, researchers from Norway published the results of a 13-year follow-up study designed to answer this question. Specifically, they took commonly used measures of atherosclerosis in the right carotid artery (an artery in the neck that supplies blood to the brain) in 2965 people (1442 men and 1532 women) via ultrasound scanning. Ultrasound scanning is a procedure that uses high-frequency sound waves to produce images of internal body structures. Results of the study showed that long-term use of cholesterol lowering drugs (more than 5 years of use) had a protective effect on the right carotid artery by lowering the total plaque area and decreasing the thickness of the arterial wall. Non-chronic use of cholesterol lowering drugs had a weaker protective effect on these measures. Reference: Herder M, Arntzen KA, Johnsen SH, Eggen AE, Mathiesen EB. (2013, in press). Long-Term Use of Lipid-Lowering Drugs Slows Progression of Carotid Atherosclerosis: The Tromso Study 1994 to 2008. Arterioscler Thromb Vasc Biol. If you run a popular medical website or blog (or any website/blog for that matter) you will inevitably be contacted by people who want to advertise on your website to market their brand name or product. Sometimes you will be contacted a company representative but other times you will be contacted by freelancers or other third parties who work to promote businesses on the internet. Fortunately, most of the people who contact website/blog owners represent legitimate and reputable companies but this is not always the case. 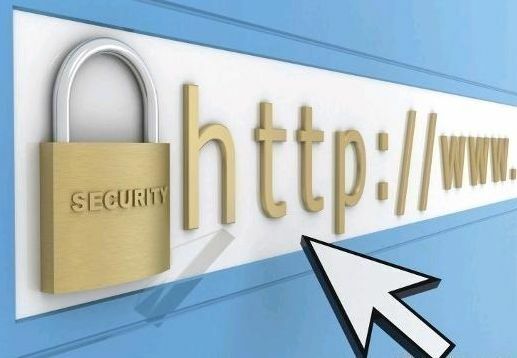 To maintain a popular and trustworthy website, it is crucial that you protect it and your readers from dubious advertisers and marketing scams. Below are five tips to help prevent you do this based on personal experience. 1. Do a News Search: Simply take the name of the company and search for it in the news section of a major search engine. You are looking to see if the company is involved in some sort of significant controversy or receiving some type of negative press. For example, I was once contacted by someone who wanted to place an advertisement for a rehabilitation facility. A Google News search revealed that the company had been in the news for using controversial and scientifically unproven techniques that resulted in several deaths. I had not heard of the facility previously and would not have not have known without the search. A good example of how a little investigation can go a long way. 2. Do a General Search: Not all companies will be involved in controversy significant enough to have caught the eye of the media to warrant a news story. This is where a search on a major search engine’s main page can come in helpful. For example, I was once contacted by a freelancer who was selling advertising for a company offering test preparation guides. Nothing turned up on a news search but a regular internet search revealed that all user reviews were negative, accusing the company of selling a fake product with wrong answers and refusing to issue refunds. True or not, this was not a company that would be advertising here. 3. Go to the Company Website: Evaluate the company’s website. Does it look professional? Would you feel comfortable being directed to it from a website you trust? Does it seem like the website is making outlandish or dubious claims that may put your readers at risk for deception? Does the website seem exploitive in any way? Look for names of who runs the company and do a search for them as per above. Is the site run by someone who lost their license for malpractice and/or involved in recurring media controversies or is it run by an established physician(s) well-regarded by his/her peers? Answers to these questions will help guide decisions about advertising placement. 4. Do NOT Install Code Files from Third Parties: You should not install code files (e.g., source code) on your website/blog provided to you by third parties because you can unknowingly be placing malicious content on your website/blog that can spread viruses and malware.The one exception to this would be source codes for ads provided by reputable advertising programs such as Google Adsense. 5. If it Does Not Seem Right, Go with Your Instinct: This part is more difficult to describe because it is the most subjective but if something seems suspicious, trust your instinct and stay away. For example, I was once contacted by an advertising agency requiring a signed contract (which is unusual). Upon asking the agency rep the name of their company and website, the company name provided could not be found on any search engine, it was claimed that the website was down for repairs, and the link provided to a supposed new website looked like it was created in a few minutes and consisted only of a bar across the middle of the page with a few words. Another advertiser once asked to purchase 10 text links of short phrases scattered anywhere throughout the page, even in tiny font. This is a very odd request and a little investigation revealed it to be a company with a bad reputation. A very common and affordable treatment offered by many sleep treatment centers, such as WakeUpToSleep, is mask and device therapy. This type of therapy will allow users to sleep better than they have in a long time, give them more energy throughout the day and may even help with other health issues, such as high blood pressure or weight loss. A popular type of mask treatment is called Continuous Positive Airway Pressure (CPAP) therapy. This type of sleep machine offers a mask to cover the nose and mouth and one that only covers your nose. It will take time to get used to the machine, but research shows this type of treatment can help with daytime sleepiness, lower blood pressure and, in most cases, is a better option than other non-surgical treatments of sleep apnea. One of the newest treatments, recently approved by the FDA is a single-use device place over the nostril before going to sleep. It allows the free movement of air and increases the pressure in the airway to help keep it open. The device is capable of reducing snoring and daytime sleepiness and is a good alternative for those unable to tolerate CPAP. Another option proven to help with snoring and allow for better sleep is an oral device. These types of devices help to keep the throat open during sleep. CPAP and EPAP are considered more effective treatments, but oral devices are often much easier to use. For those suffering from mild to moderate sleep apnea, an oral device prescribed by a dentist can help. If home treatment won't do the trick, surgery is the next type of treatment. Depending on the individual and the condition, one of four surgeries may be recommended. These include tissue removal, jaw repositioning, implants and a tracheostomy (creating a new air passageway). Tissue removal often works for those unable to tolerate a CPAP therapy. The doctor will remove tissues from the back of your mouth, along with your tonsils and adenoids. However, this isn't the most successful type of treatment and only works in some cases. Jaw repositioning helps to enlarge the space behind the tongue and will require the help of an oral surgeon. Often this type of treatment is combined with other sleep apnea treatments for better success. Implants are plastic rods inserted into the soft palate under local anesthetic. Those suffering from mild sleep apnea are often the best candidates for this type of treatment. A tracheostomy is the last option a surgeon will recommend. If nothing else has worked, they may perform surgery to create a new air passageway. Only when the condition is life threatening or severe, will this procedure be used. Whether you suffer from mild or severe sleep apnea, a treatment can help you get a good night of sleep every night. Consult a doctor before choosing a treatment, as they will be able to best diagnose the severity of your condition and match the right treatment for you. One type of drastic treatment for obesity is bariatric surgery (also known as weight-loss surgery).This involves surgically reducing the stomach size, removing a part of the stomach, or removing and re-directing the small intestine to a small stomach pouch. The latter is referred to as gastric bypass surgery. The small intestine is the part of the intestine that takes in all of the nutrients that the body needs. The surgery is known to help with weight loss and improves overall health. An example is remission of diabetes mellitus. In diabetes mellitus, the body is not able to effectively use a natural chemical called insulin, which quickly absorbs glucose (a type of sugar) from the blood into cells for their energy needs and into the fat and liver cells for storage. While bariatric surgery has health benefits, it is also associated with frequent complications such as bloating and diarrhea after eating, infections, leaks at the surgical site, hernia (tissue protrusion) through the incision site, and pneumonia. Pneumonia is inflammation of the lungs due to infection. With health care reform a reality, an increasing focus of insurers will be if the surgery actually reduces long-term health care costs. The surgery is currently approved by insurance companies due to the potential to improve health care costs. In an upcoming article in JAMA: Surgery, researchers published a study designed to analyze the long-term health care costs associated with bariatric surgery. The study followed-up 29,820 patients who underwent bariatric surgery between 2002 and 2008 under a BlueCross Blue Shield insurance plan across the U.S, making it the largest study of its kind. The patients were compared to a matched control group that did not undergo surgery but who had obesity or diagnoses closely associated with obesity (e.g., diabetes mellitus). Results of the study showed that total healthcare costs were greater in the bariatric surgery group during the second and third years after surgery but were similar in the later years. In specific areas, the bariatric group had higher inpatient care costs which offset lower costs for prescriptions and office visits. The authors concluded that bariatric surgery does not reduce overall health care costs in the long-term and that there was no evidence that one type of bariatric surgery was more likely to reduce long-term health care costs. In an accompanying article in the journal, Dr. Edward Livingston (Deputy editor of JAMA) noted that bariatric surgery should only be offered to highly selected patients: those in whom there is an overwhelming probability of long-term success, who have complications of obesity that can improve with weight loss surgery, and who have history of demonstrated medical and dietary compliance. 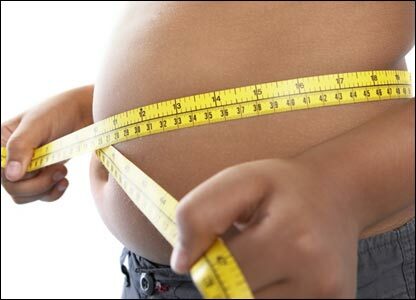 Suggested Reading: The Obesity Epidemic: What Caused It? How Can We Stop It? References: Livingston EH. (2013, in press). Is Bariatric Surgery Worth It? : Comment on "Impact of Bariatric Surgery on Health Care Costs of Obese Persons". JAMA: Surgery. Weiner JP, Goodwin SM, Chang HY, Bolen SD, Richards TM, Johns RA, Momin SR, Clark JM. (2013, in press). Impact of Bariatric Surgery on Health Care Costs of Obese Persons: A 6-Year Follow-up of Surgical and Comparison Cohorts Using Health Plan Data. JAMA Surgery. Similar to adults, headache is one of the most common symptoms that children (including adolescents) report. Patients are often treated with numerous trials of medications to reduce headaches. Many times, they report that none of the medications have helped. Although some patients report reduced headache after using prescription medicine, this does not mean that the medicinal powers of the medication actually caused the reduction. That is, the improvement may have been due to the placebo effect. The placebo effect is when someone reports or shows improvement in a health condition when given a treatment they are told is genuine but is actually not. An example would be telling one group of patients that they are being given a medication to treat headaches when they are only swallowing a sugar pill that does not actually treat headaches. In this example, the sugar pill is known as a placebo. If the placebo group reported significant improvement from the sugar pill treatment then this improvement is known as the placebo effect. If drug studies do not include a placebo group for comparison purposes then there is no way to tell if any reported improvements from genuine medical treatments are due to actual medicinal effects or due to the powers of suggestion (placebo effect). When studies include a placebo group it is known as a placebo-controlled study. Unlike placebo treatments, actual medications have potential side effects. Some parents may not want to run the risk of such side effects if the medication prescribed has not been proven to be better than placebo. In an upcoming study to be published in JAMA Pediatrics, researchers reported on the results of statistical analyses based on an extensive literature review to determine the effectiveness of headache medications in reducing headache the frequency and severity of headaches in children (less than age 18). After an literature search revealed 2918 articles for review, only 13 were placebo controlled studies that randomly assigned patients to groups. The results were startling in that only two medications (topirimate [Topamax] and trazodone) had limited data supporting their effectiveness in treating episodic migraine headaches. Migraines are moderate to severe headaches that are associated with nausea, vision disturbance, vomiting, and light sensitivity. Other commonly used prescription medications for headaches showed no evidence supporting their use in children in adolescents. What treatment did the study find that was clearly effective at treating headaches? The placebo. The authors noted that since there were so few studies on this topic with placebo comparison groups that more research is needed and that firm conclusions cannot be made at this time. Nevertheless, one is left to wonder whether it would be a good idea for physicians to initially treat children who report headaches with a placebo to see if this works before treating with prescription medication. This is a controversial approach, however, although many physicians use placebo treatments in clinical practice and only a minority view it should be prohibited due to ethical reasons. Note that this study did not review the effects of over the counter pain medications compared to placebo. Reference: El-Chammas K, Keyes J, Thompson N, Vijayakumar J, Becher D, Jackson JL. (2013). Pharmacologic Treatment of Pediatric Headaches: A Meta-analysis. JAMA Pediatrics. Common signs and symptoms of HIV (human immunodeficiency virus) includes weight loss, fever, and a sickly appearance even though these are not universal problems in those infected with the condition. Hearing loss is usually not one of the first symptoms that comes to mind when thinking of HIV but is can happen in between 21 to 49% of cases. There are three types of hearing loss. The first type is sensorineural hearing loss, which is caused by damage to the auditory nerve that transmits message to the ear, damage to the inner ear, or damage to parts of the brain that process sounds. When this occurs suddenly (over a period of a few hours to 3 days), it is known as sudden sensorineural hearing loss (SSHL). When it has been present for a long time, it is known as chronic sensorineural hearing loss. The second type of hearing loss is conductive hearing loss, in which there is a problem conducting sound waves anywhere along the path through the outer ear, eardrum, or middle ear. 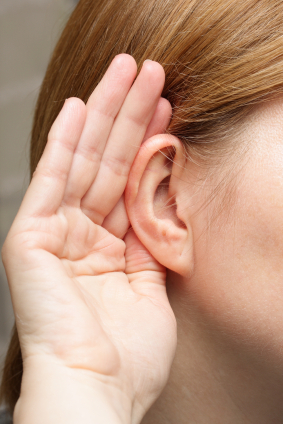 The third type of hearing loss is mixed-type hearing loss, which is a combination of the first two types. The main causes of hearing loss in people with HIV are the direct effects of the virus (or other opportunistic infections) on the brain or auditory nerve and side effects of medications used to treat HIV. The sudden form of sensorineural hearing loss (SSHL) is believed to be rare in HIV but there has been no large scale study to on the topic in the English scientific literature. In an upcoming study to be published in JAMA: Otolaryngology – Head and Neck Surgery, researchers performed such a large scale study with 8,760 HIV patients and 43,800 people without HIV over about a 6-year-period. The study participants were all from Taiwan. The results of the study showed that HIV patients between ages 18 and 35 had a 2.17 higher incidence of HIV compared to controls. The increased risk of SSHL was found to be especially true for men. No increased risk of SSHL was found in the HIV group for patients ages 36 or older for unclear reasons. Reference: Lin C, Lin SW, Weng SF, Lin YS. (2013). Increased Risk of Sudden Sensorineural Hearing Loss in Patients With Human Immunodeficiency Virus Aged 18 to 35 Years: A Population-Based Cohort Study. JAMA Otolaryngol Head Neck Surg. 21:1-5. The benefits of dairy consumption are often touted because calcium intake increases bone mineral density (BMD) which is a fancy way to refer to bone thickness. Increased BMD is important for growing youth and also for the elderly, especially to decrease osteoporosis in the latter. Osteoporosis is an abnormal loss of bone thickness and a wearing away of bone tissue. Although dairy products are a good source of calcium, as pointed out in a prior blog entry, too much supplemental calcium can lead to heart problems in men. In addition, not all dairy products are created equal. In an upcoming study in the Archives of Osteoporosis, researchers at Northeastern University studied the association between various dairy products and BMD in 3212 people over 12 years. Specifically, they examined yogurt, milk, cheese, most dairy (total dairy without cream), and fluid dairy (milk and yogurt). The study results showed that milk and yogurt were associated with hip BMD but not spine BMD. Milk and yogurt intake also showed a marginally significant protective effect but that this effect needed confirmation with future studies. However, study results also showed that cream might lower BMD. Cheese intake did not improve BMD. The authors concluded that not all dairy products have equal benefits on the skeleton, likely because of different nutritional profiles. Reference: Sahni S, Tucker KL, Kiel DP, Quach L, Casey VA, Hannan MT. (2013). Milk and yogurt consumption are linked with higher bone mineral density but not with hip fracture: the Framingham Offspring Study. Arch Osteoporos. 8(1-2):119.